We base the origin of the Traditional Hampers in London on Scottish tradition with a strong seasonal fayre packed with classic tastes of the past that will always stay the favourites of all taste buds. Together with a mix of Ireland and the British Islands, make these hampers just the favourite of all traditional hampers. 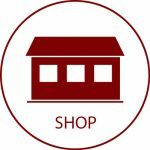 Some of our traditional hampers are strictly related to one single region like Scotland, Ireland or the British Islands. However, we also have a mix of traditional hampers which have content of more than one region in the same hamper. 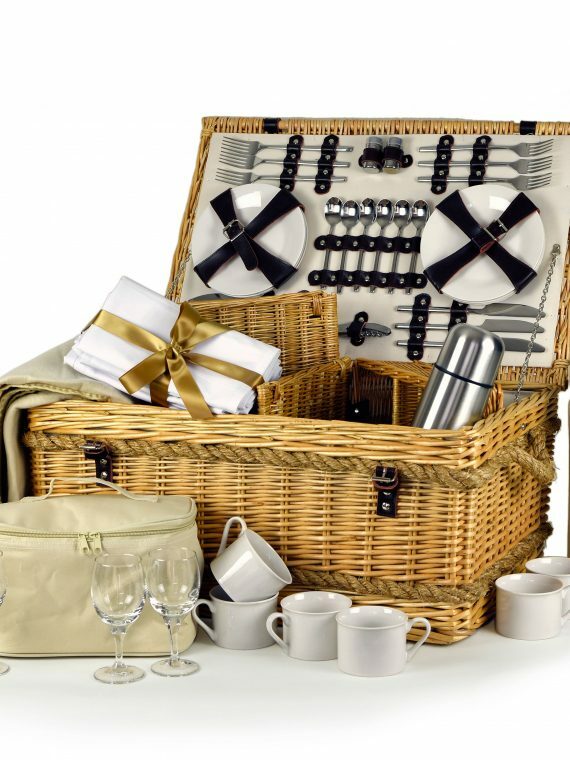 This luxury 2 Person Picnic Basket Hamper contains a range of the usual picnic items and is the perfect gift for couples who enjoy al fresco dining. Knives, forks, spoons, China plates, a stainless steel flask and cups, it’s all presented in a smart, leather-strapped willow basket. Guaranteed to turn heads on any picnic outing, this elegant 4 Person Cheshire Fitted Picnic Basket is full buff willow, and has a leather fitting and green lining as well as a zipped chilled compartment for keeping drinks and foods cool. Gift it to someone who likes to picnic in style! This luxury Four-Person Deluxe Hamper Basket would make the ideal gift for a family who enjoy packing a picnic. Knives, forks, spoons, china plates, a stainless steel flask, cups and a bottle opener are all presented in a smart, leather strapped willow basket. Calling all chocolate lovers! This Artisan Chocolate Hamper is heaven-sent and includes a selection of delicious and incredibly rich chocolate treats produced by some of Scotland’s most celebrated chocolate and biscuit producers, from the Isle of Mull in the west to Aberdeen in the north east. Every good selection box should contain a tempting mix of delicious delights, and this Artisan Christmas Selection Box is no exception. There is Sloe liqueur, shortbread rounds, Stollen, Black Bun fingers, Christmas pudding fudge, mince pies, truffles and milk chocolate reindeers – which one will you choose first? 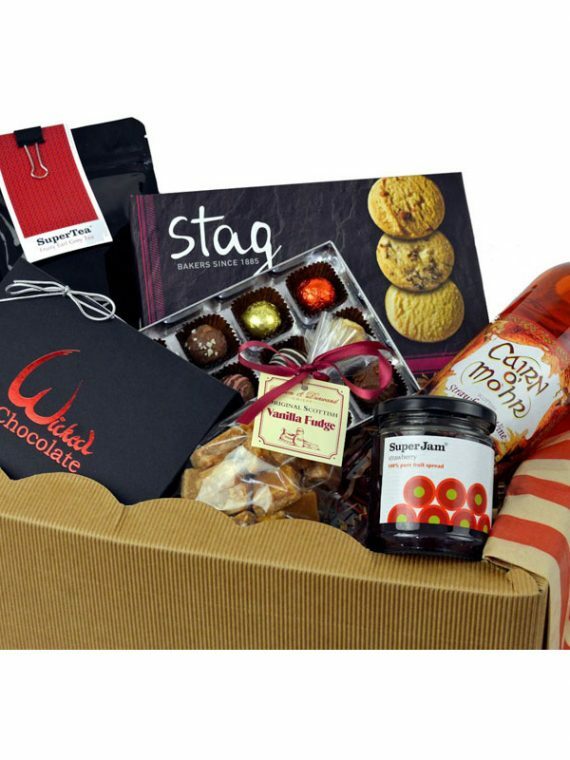 The strawberry wine in this Artisan hamper comes from a small award-winning distillery in Perthshire and perfectly compliments the divine chocolates made by hand from the Wicked Chocolate Company Factory. 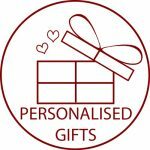 With other delicious treats such as Earl Grey tea, Super Jam and original Scottish vanilla fudge, this is the perfect gift hamper for her. 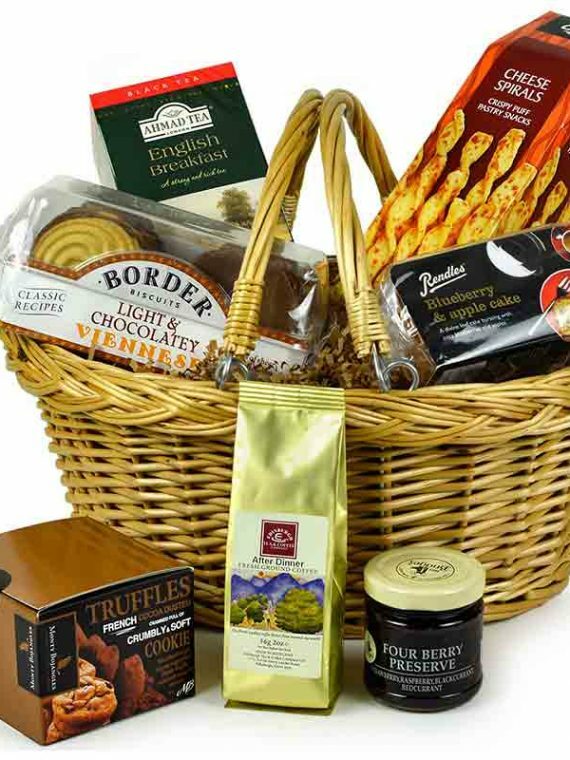 Enclosed in this eclectic hamper you will find some of the best products that Scotland produces. 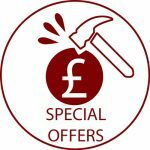 These include four bottles of Roots Kaleidoscope Soda, tasty cheeses, crackers and shortbread, as well as a packet of hand-baked porridge oatcakes which are fruitier and juicier than the traditional oatcake variety, and which contribute towards making this the ideal Artisan Hamper For Him. This Artisan Harvest Gift Box is the Oaked Highland Gin, which tastes like a luscious combination of whisky and gin and has an unusual hint of vanilla smokiness – just add some tonic to wow your taste buds with the caramel undertones. 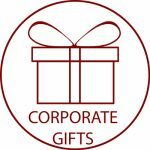 A selection of Cheddar cheeses, chutneys, savoury biscuits, mustards and oils complete this unforgettable gift box. A luxury wedding picnic basket gift ideal for two people, complete with cutlery, bottle opener, plates and wine glasses, which can be used time and time again, whatever the occasion. Also included is two bottles of Prosecco (which sadly can’t be used again!) making this an ideal wedding present of a gift to mark any special celebration. The products in this Christmas Artisan Fine Fayre basket have been specially selected from among the finest Scottish fayre and include tasty treats the whole family can enjoy. Big kids can indulge in a cheese designed as a fancy Christmas pudding leaving the wee ones to fight over the mouth-watering chocolate reindeers! Enjoy the light, fruit and candied rum flavours of this craft beer that is brewed on the banks of the River Eden in St Andrews, and the Arran Cheddar cheese that is infused with crushed herbs and produced in a small cottage cheese dairy. Also inside this luxury gift hamper is an unusual whisky dressing made with pride and passion by the Whisky Sauce Co, a new small craft shop in the heart of Dundee.